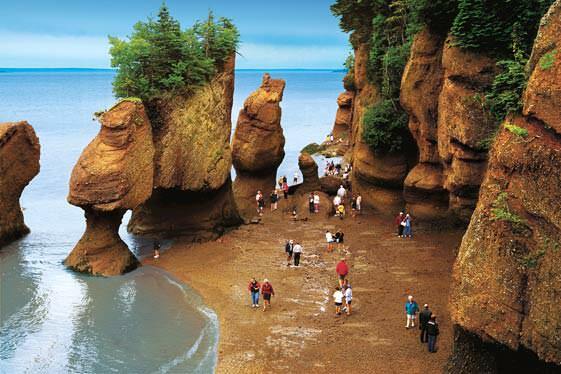 The Bay of Fundy is known to be one of the seven great wonders in the continent of North America. It is located in Canada between the provinces of New Brunswick and Nova Scotia. According to the Guinness Book of World Records, it has the highest tides in the world. This tidal energy is being used to investigate how power can be generated. A variety of parks are located nearby, including the Fundy National Park. The ocean floor can be explored to find the creatures and non-living things. There are also hiking trails, golf courses, swimming pools, biking trails, and cross-country skiing in the winter. A beautiful area with beautiful scenery.